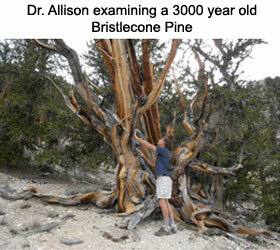 Dr. Allison used X-ray computer tomography to reveal the inner secrets of the Great Basin Bristlecone Pine. 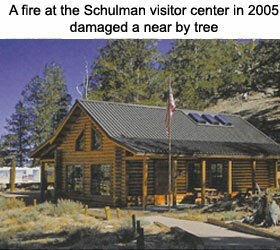 A rare 600 year old sample log was obtained in 2009 from the US Forest Service when the damaged tree removal was required after a fire burned down the Edmund Schulman Visitor Center at the Ancient Bristlecone Forest in the White Mountains near Bishop, CA. 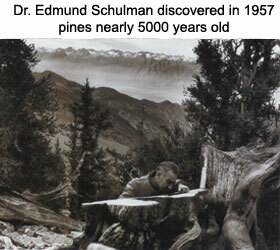 In 1957 Edmund Schulman of the University of Arizona Lab for Tree Ring Research identified trees in this stark but incredibly beautiful high altitude forest that were over 4800 years old publishing his findings in National Geographic. 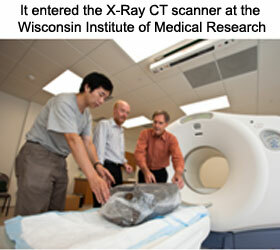 Allison had the scorched log shipped to the USDA Forest Products Laboratory (FPL) where it was cleaned then delivered to the University of Wisconsin Institute of Medical Research (WIMR) in Madison where scientists from the FPL and WIMR conducted X-ray CT testing. 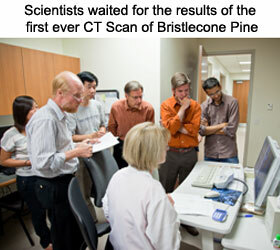 With intense anticipation the scientists gathered in the screening room as the log was translated through the scanner. The experiment demonstrated that the three dimensional transverse and longitudinal views obtained from CT provides information on inner trunk anatomical characteristics and spatial relationships not available through standard increment bore sampling. 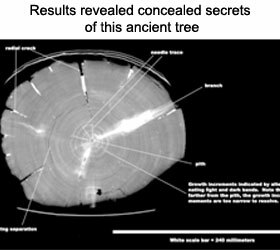 This ancient grove is a living repository of critical knowledge concerning our historical weather and the changes in the earth’s atmosphere. And yet its very existence is now threatened by the problem it can best help us understand – global climate change. Giving up secrets they have silently held for millennia may be a way to preserve their future. 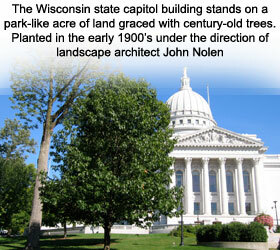 The State of Wisconsin contracted with Allison Tree, LLC to conduct a tree risk assessment of the 153 trees at the historic and heavily used park around the State Capitol in Madison. There had been several tree limb failures one of which seriously damaged a parked car and nearly missed striking a group of visiting school children. 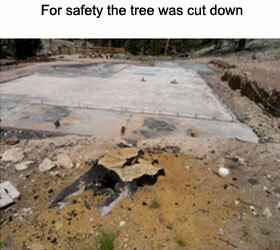 Employing visual inspection and cutting edge acoustic technology wood density tests, Allison documented structural defects and assessed failure risk for each tree. 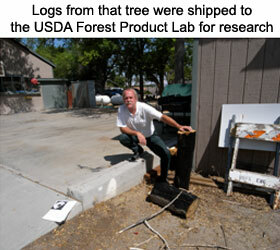 Relying on this report several hazardous trees were removed in early 2006. A storm with unusually strong winds struck the Park in the pre-dawn hours later that summer breaking apart two large high-risk oaks that had been scheduled for removal. Structural failure occurred exactly along the documented defects as predicted by the study. 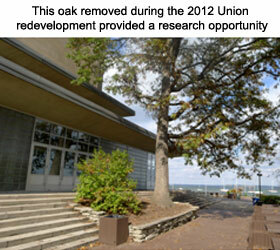 It is rare to have nature be so cooperative in confirming the validity of tree risk evaluation methods. It is a little known fact that Henry David Thoreau, noted ecologist, philosopher and author, came through Wisconsin in 1861. 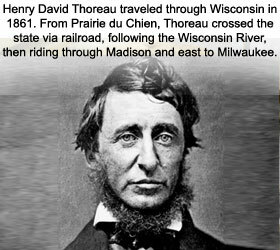 From Prairie du Chien, Thoreau traveled across the state via railroad, following the Wisconsin River, then riding through Madison and east to Milwaukee. Thoreau kept careful notes of his observations recording the plants he saw along the way. R Bruce Allison was interested in conducting an experiment to determine how Wisconsin’s ecology had changed since Thoreau’s time. The Wisconsin and Southern Railroad, operating on the railroad bed used by Thoreau, provided a driver and a truck adapted to ride the rails. Inviting photographer Dr. Paul Thoresen to join him and document the research, Allison set out on June 27, 2008, the exact date Thoreau started his passage through the state 147 years earlier. From the Mississippi eastward they observed elements of landscape and the natural world preserved since Thoreau’s passage – pre-settlement oaks trees, wildflowers along the rail bed, migratory birds and eagles nests along the Wisconsin River. The town names were the same, Prairie du Chien, Crawford, Boscobel, Spring Green, Black Earth, Middleton, Madison. Agriculture still dominated the landscape but now it was different crops, corn and soy beans, no longer predominantly wheat. Plus it had become industrialized with large grain bids, diesel tractors rather than horses, and, even more significant, genetically altered as represented by the Monsanto greenhouses the tracks passed by just west of Madison. People have changed habits also migrating from an agrarian life into urban areas disconnected from the natural landscape, a trend Thoreau saw contributing to a life of quite desperation. There were still many hopeful signs along Thoreau’s track such as the saving of the Sandhill Cranes from extinction, the reintroduction of wild turkeys, the improved management of the white tail deer herd, a growing movement toward locally grown food and sustainable living, plus plentiful signs of the wildflowers recorded in Thoreau’s notes – wild tiger lily, purple cone flower, blue flag iris, ranunculus, white water lily, pasque flower, birdfoot iris, hoary puccoon, spiderwort and lithoa spermum canescens. 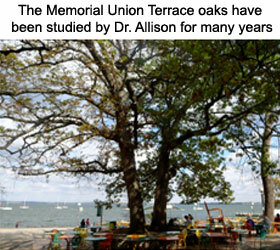 University of Wisconsin students and alumni have a special affection for the sesquicentennial oaks that grace the Memorial Union Terrace overlooking Lake Mendota on the Madison campus. Dr. Allison has been bringing students there to conduct tree stability tests providing training in acoustic tomography and microdrill resistance measurements. During a demolition and reconstruction of the adjacent theater one of the oaks that had been identified with root and basal trunk cavities was removed. 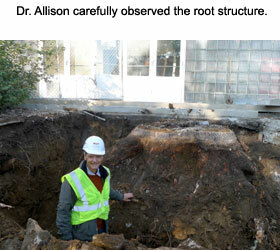 Allison recognized the opportunity for further research to understand how root cutting during an earlier reconstruction was the starting point for the progressive stability loss. 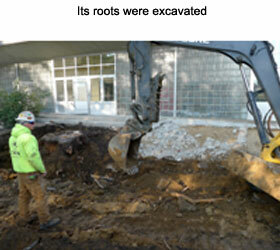 Once the tree was cut to the stump he requested that the construction crew use their heavy equipment to dig up the stump and roots, use high pressure hoses to wash off the soil then deliver the stump to the USDA Forest Products Lab for further analysis. 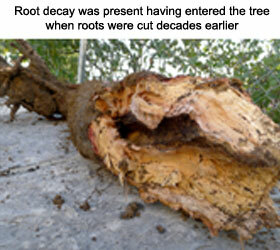 The exact point of entry of decay into the lower trunk was identified at the roots severed during construction 60 years earlier. Such observations allow better understanding of what practices to avoid during land development near valuable trees. 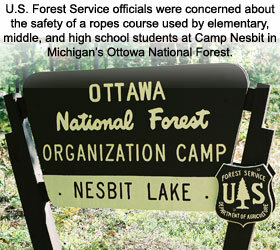 U.S. Forest Service officials were concerned about the safety of a ropes course used by elementary, middle and high school students at Camp Nesbit in Michigan’s Ottawa National Forest. The USDA Forest Products Laboratory (FPL) was asked to assemble a team of experts in decay detection to conduct a thorough examination of the 16 red pines that serve as the framework for the ropes course. R Bruce Allison, as part of that team, conducted acoustic tomography tests generating images indicating the internal condition of the lower trunks. After careful interpretation of the data, Allison identified one tree as being highly problematic. After some debate as to whether or not there was sufficient evidence to remove the tree, it was concluded that due to the dire consequences associated with trunk failure, removal was justified. 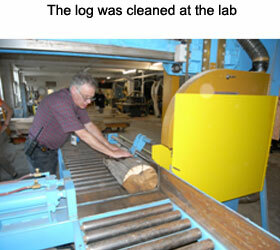 After the tree was removed the lower trunk was transported to the Forest Products Laboratory where it was sliced longitudinally so that it could be thoroughly examined. As it turned out, the tools for detecting internal decay had accurately shown the significant amount of decay, further justifying its removal from the ropes course. 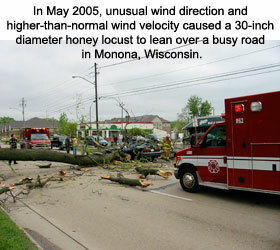 In May 2005, a mature honey locust street tree in Monona Wisconsin uprooted, fatally insuring a passing motorist. The City commissioned a forensic study by Allison Tree, LLC to determine the cause of failure. The tree roots were lifted, cleaned, carefully measured and examined to document the hidden areas of decay and carpenter ant activity that lead to the failure.